Are you a cushion lover? Are you one of these people that loves to have cushions all over the sofa or all over the bed? If so, then we have the perfect treat for you! Our personalised cushions are a great way to re-invent a space and make it that little bit more unique. They can also be a great talking point for when friends and family come to visit. They add an extra special touch to a room, and will always be there to make you smile and keep you comfy if you’ve just had one of those rubbish days. 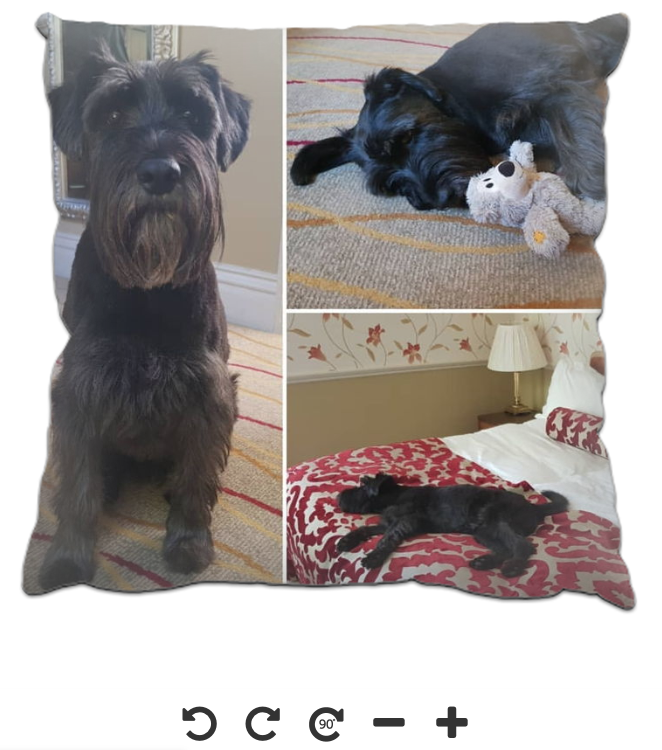 Our personalised cushions come with your photo printed on one side and a backing colour of your choice on the other side. They are made from a beautiful, soft faux-suede material and are 42 x 42cm in size. The are hard-wearing and colourfast so they will stand the test of time. Also, machine washable at 30 degrees. 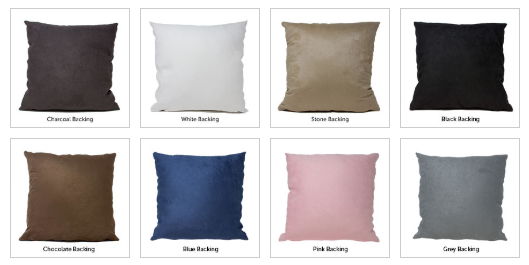 They are available with 8 different backing colours so you can match it to your home decor. 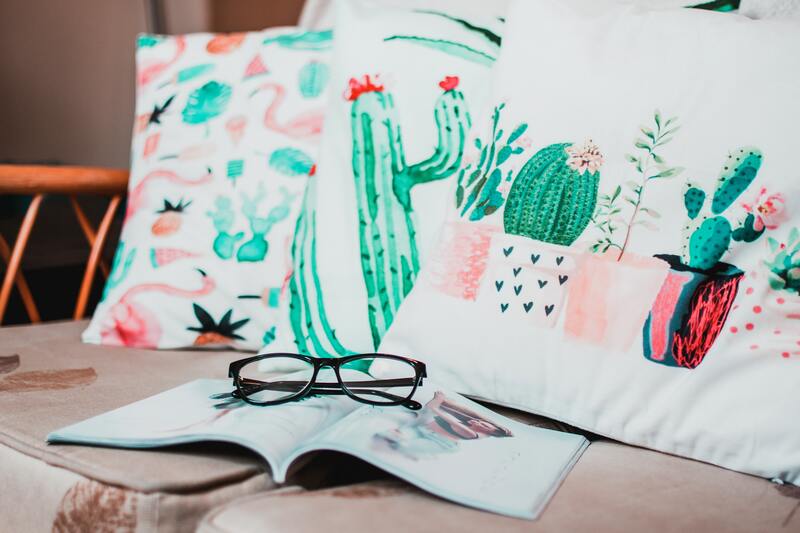 You can choose to print your photo in colour or black and white, and you can also choose to buy the cushion cover separately if you simply want to re-fresh some cushions that you already have at home. 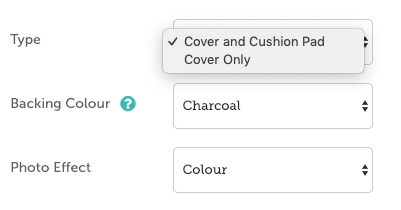 Simply select the ‘cover only’ option from the drop down menu. To get started, simply upload your photo and use our dynamic editor to position your photo perfectly. You can zoom in and out, and rotate the image. A top tip worth noting is that it’s always worth making sure you don’t position any images with people in them too close to the edges of the cushion. The hardest part will probably be choosing your photo! Whether it’s a picture of a beloved pet, a favourite holiday memory, or even a selfie, we want to do your photo justice. So what are you waiting for? Open up your phone gallery and pick out your faves. It really couldn’t be easier! So why not treat yourself today or buy as a gift for someone else. Our cushions are guaranteed to make you smile!